Chinese investigators blamed ‘chaotic’ Crew Resource Management for a serious incident in which an Airbus A319 stalled during approach to Wuxi in China. 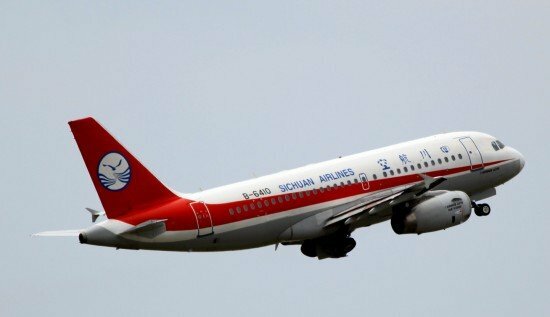 On September 14, 2010, a Sichuan Airlines Airbus A319 was involved in serious incident during a flight from Chongqing to Wuxi, China. Weather at the destination airport was poor. A thunderstorm in the area caused rapidly changing winds, forcing several flights to divert to other airports. The flight crew was aware of this but decided to continue to Wuxi were they positioned the airplane for an autopilot ILS approach to runway 03. The airplane intercepted the ILS at 2140 feet. From that moment the aicraft’s speed decreased and attitude increased gradually. When the speed reached 114 kts (normal approach speed is 126 kts), a Low Energy Warning (SPEED) warning was triggered. The crew used the speed knob of the Flight Control Unit (FCU) and manually selected a target speed of 131 kts. Auto Thrust was coming up slowly, and the speed continued to decreas at rate of 7 kts per second. The Auto Pilot then disconnected automatically. The angle of attack continued to increase until the Alpha Protection function was triggered. Alpha Floor was activated when the speed indication showed 83 kts. Thrust was increased to maximum automatically and the crew then selected the thrust levers to TOGA. A Stall Warning sounded at an indicated airspeed of 81 kts, which decreased even further to 74 kts. Meanwhile both pilots were giving side stick inputs simultaneously for as long as 12 seconds. The plane started to nose down from a maximum Angle of Attack of 33 degrees and rolled to the right. As it descended, it took up speed gradually and the plane recovered from the stall condition. The maximum bank angle to the right reached 43 degrees, the maximum nose down angle was 6 degrees, maximum sink rate was 3924 feet/min. A Glide Slope warning, Pull Up warning, and Sink Rate warning were triggered during the recovery. The lowest altitude was 884 feet before the airplane had recovered. The plane climbed to 2924 feet and the crew decided to divert to Ningbo Airport, were it landed safely at 10:11. The Chinese CAAC concluded that the crew lacked proper judgement of the weather conditions and displayed a weak decision-making ability. After the Low Energy warning the crew did not apply Quick Reference Handbook (QRH) procudures. Instead they manually selected a new airspeed, aggravating the situation which led to a stall. CAAC stated that “the Crew Resource Management was a chaos”.